Harmen COERTEN (1610-1689) was Alex’s 11th Great Grandfather; one of 4,096 in this generation of the Miller line. Harmen Coerten was born in 1610 in Voorthuizen in the Province of Guelderland, the Netherlands. His father was Mathias COERTEN. He married Aertje GERRTIS before 1642. He emmigrated with his family on 12 Feb 1659 aboard the ship “Der Trouw“. (The Faith) commanded by Capt. Jan Jansen Bestevaer. They were recorded as: Harmen Coerten from Voorhuysen, wife, and 5 children, 5, 6, 8, 9, and 17 years old. The family lived for a time in New Utrecht, Long Island, but by 1664, after a dispute with the English, moved to Bergen, New Jersey. Harmen’s death was recorded 26 Nov 1689 in Death and Membership Record, Bergen, NJ (Holland Soc. Yearbook, 1915, p 105). Harmen was Burried at the Dutch Church, Bergen County, NJ. He was the 19th member of the Church. He was the 105th person to be buried there and the 48th to be covered with the pall at Dutch Reformed Church, Bergen County, New Jersey. Aertje Gerrtis was born in 1620 to Gerrit GERRITS in Holland. Aertje died 2 Dec 1684 in Bergen NJ. She was the ninth member of the Dutch Church and was the 78th person to be buried in Bergen and the 26th to be covered with the church pall at her funeral. 23 Jun 1670 Bergen, NJ. 1754 Staten Island, NY. The village of Voorthuizen where Harmen Coerten is from is now part of the municipality of Barneveld. If you are looking for the ancestors of Harmen Coerten it is likely that you will have to look into the names. At the time of their travel, the children are assumed to be as follows; Gysbertje would have have been the 17 year old, Reyckje the 9 year old, Neeltje the 8 year old, Geertje the 6 year old. There is a possibility that Jan may have been the 17 year old. 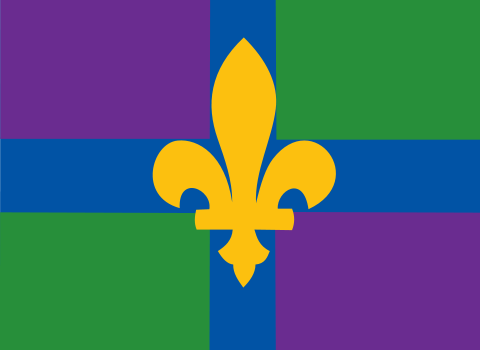 During the troubles in 1663 and the beginning of 1664, and prior to the English conquest of New Netherlands, where the towns of Hempstead, Jamaica, Newtown, Oyster Bay, and Gravesend, —whose settlers were mostly English— entered into a “combination,” as they termed it, to manage their own affairs but in reality to throw off the Dutch yoke and join the English, and employed Capt. John Scott (a bold and unprincipled adventurer who had been banished by the Parliament from England for his misdeeds) to manage their affairs and fight their battles—the valiant Captain, at the head of his 150 followers, after marching to Brooklyn ferry, Flatbush, and other localities, and frightening the peaceable fanners with his antics and warlike display, marched into the quiet village of New Utrecht. There, among other singular feats, he dismounted the small cannon in the block-house erected for defence against the Indians, and then removed it to another port and fired a salute. At the house of Rutger Joesten, one of his valiant band, an Englishman from Hempstead Plains, a smith by trade, came along making considerable noise and uproar, inquiring for Matthys Pickstaert, threatening to ran “Tryntje Claes,” Rutger’s wife, through with a sword which he held in his hand, and pointed three different times at her breast, calling out ” Where is the man”?” so that eventually all the Englishmen came into her house and stilled the fury, and relieved her of the dread and peril in which she was placed. ALL INHABITANTS OF THE VILLAGE OF NEW UTRECHT, WHO HEREBY DECLARE AND TESTIFY, ON THIER TROTH, IN FAVOR AND FOR THE ENDS OF JUSTICE, ON THE REQUISITION AND AT THE REQUEST OF MR. ADRIAEN HEGEMAN, SHERIFF OF THE VILLAGE OF MIDOUT, ECT., BY AND IN THE PRESENCE OF MR. BALTASAR DE VOS AND FRANCIS DE BRUYN, AT PRESENT SCHEPENS OF THE VILLAGE OF NEW UTRECHT HERE, THAT IT IS TRUE AND TRUTHFUL THAT ON SATURDAY, THE 12TH OF JANUARY LAST, JOHN SCHOT, CAPTAIN OF A TROOP OF HORSE AND FOOT, CAME TO THEIR VILLAGE, MAKING GREAT NOISE. THE AFORE-SAID JOHN SCHOT, STANDING ON THE BLOCK-HOUSE, SPOKE IN ENGLISH, BUT ALL THAT THE ABOVE NAMED ARYEN WILLEMSE COULD UNDERSTAND WAS JOHN SCHOT SAYING: THIS COUNTRY AND ALL AMERICA FROM VIRGINIA UNTO BOSTON, BELONG TO KING CHARLES. THE ABOVE NAMES DEPONENTS ALSO JOINTLY DECLARE THAT JOHN SCHOT WENT INTO THE BLOCK-HOUSE AND EXAMINED THE LITTLE CANNON WHICH HE UPSET WITH THE CARRIAGE. AND HIS MEN, HAVING AFTERWARDS REPLACED IT, BY HIS ORDER, SETTING IT IN THE KINGS’S NAME, IN ANOTHER PORT-HOLE OF THE BLOCK-HOUSE, WHICH HE CALLED THE KING’S PORT, THEY FIRED A SALUTE ON THIS OCCASION. JACOB HELLAECKENS FUTHER DECLARES ALONE, THAT JOHN SCHOT CAME TO HIM, AND UNDERSTANDING THAT HE, DEPONENT, WAS A MAGISTRATE, ENQUIRED IF HE WILL SUBMIT TO THE KING’S AUTHORITY AT PRESENT? WHERE-UNTO THE DEPONENT ANSWERED: THE KING IS OUR FRIEND ALREADY, FOR WE ARE NOT AT WAR; BUT I REMAIN UNDER THE LORD TO WHOM I HAVE SWORN ALLEGIANCE. THEN JOHN SCHOT SPOKE: AS YOU WILL NOT CONSENT, THEN YOU MAY SEE WHAT WILL COME OF IT. JAN VAN CLEEF DECLARES, IN COMMON WITH ALL THE DEPONENTS EXCEPT TREYNTIE AFORESAID, THAT JOHN SCHOT SAID: YE SHALL NOT ANY LONGER LOOK UPON PIETER STUYVESANT YOUR GOVERNOR, BUT ONLY AS A PRIVATE MAN, FOR HE IS A GENERAL NO MORE; HE, JOHN SCHOT, FORBIDDING THEM, THE DEPONENTS, TO GIVE HIM ANY PROPERTY OR MAKE HIM ANY PAYMENT; AND (IF THEY MUST GIVE OR HAD GIVEN ANY, THAT HE, JOHN SCHOT,) WOULD INSIST TO PIETER STUYVESANT FOR IT AND CONSTRAIN HIM THEREUNTO BY THE SWORD. TREYNTIE CLAES, WIFE OF RUT JOOSTEN, DECLARES THAT WHILST IN HER HOUSE AN ENGLISHMAN OF GREAT FLATT, A SMITH, CAME ALONG MAKING CONSIDERABLE NOISE AND UPROAR, INQUIRING FOR MATTHUS PICSTAERT, THREATENING TO RUN HER THROUGH WITH A SWORD WHICH HE HELD IN HIS HAND CLEAR OUT OF THE SCABBARD, AND POINTED THREE DIFFERENT TIMES AT HER, THE DEPONENT’S BREAST, CALLING OUT, WHERE IS THE MAN? SO THAT, EVENTUALLY, ALL THE ENGLISHMEN CAME INTO HER HOUSE AND STILLED THE FURY; SHE, THE DEPONENT, BEING IN GREAT DREAD AND TROUBLE. FURTHER DEPONENTS SAY NOT, BUT ARE WILLING TO CONFIRM BY OATH, IF NEEDS BE, ALL THE AFORESAID. THRU DONE AND EXECUTED IN THE VILLAGE OF NEW UTRECHT ABOVEMENTIONED, ON THE 14TH FEBRUARY 1664, IN THE PRESENCE OF ME BALTASAR DE VOS AND FRANCOYS DE BRUYN. SCHEPEND, AS WITNESSES, WHO HAVE SIGNED THE ORIGINAL MINUTE REMAINING WITH ME, THE NOTORY, AS WELL AS THIS COPY. Family later moved to Bergen (now Newark) N.J.
Harmen had a brother Guert Coerten who came in 1641, he had no children and cut his wife out of his will for being unfaithful. The early Dutch records are full of stories on her. 22 Nov 1665 – Harmen Coerten took the oath of allegiance to the English in the Town of Bergen . (History of Hudson County, NJ by Charles H. Winfield, p. 103). On p. 83 History of Land Titles in Hudson County he is listed as owning property next to Guert Coerten, his brother. 1671 – In the NJ Colonial Documents p 146 he is listed as the universal heir of his brother Guert Coerten on the will dated 5 Feb 1671 and recorded 1 June 1671. 1677 – Harmen was a witness of a child born to Pieter Hesselse and Elysabet Gerrits according to the Bergen Reformed Church written in the Holland Society Year Book, 1976 p. 24. Peter Hesselse was Harmen’s sisters son. 1689 – Harmen’s death is recorded in Death and Membership Record, Bergen, NJ (Holland Soc. Yearbook, 1915, p 105). Harmen’s children were married in Old Bergen Dutch Reformed Church First Building built in 1680. Rejckje’s husband Jurianen (Jurian) Thomassen Van Ripen (Riper) was born 1650 in Ripen, North Jutland, Denmark. Jurianen died 12 Sep 1695 in Bergen, New Jersey. Ribe (German: Ripen), the oldest extant Danish town, is in southwest Jutland. Established in the first decade of the 8th century and first attested in a document dated 854 AD. 11-12 October 1634: a storm tide floods the city with waterlevels rising to 6.1 meters above average. Rypen is very ancient, has an old cathedral, and its fine harbor once made it a great seaport. The locality was a battle-ground between Denmark and Sweden from 1637 to 1645, when the Swedes took the city. It was given back by treaty, but war soon broke out again, and it was not concluded until 1660. Then came a remarkable revolution in domestic politics, and the first Van Riper – Jurian Tomassen – left Rypen on April 2, 1663, in the ship “T Bonta Koe” The Spotted Cow, bound for New York. There were ninety other names on the passenger list, but he seems to have been the only one of his family. He, with thirteen others, received a patent, March 16,1684, for what was then called “Haquequenunck” a name which was until lately preserved in the title of the former Acquackanonk Township (1693-1917). When formed, Acquackanonk Township included parts of present day Clifton, Paterson and Passaic. The Acquackanonk were a Lenape group who spoke the same Algonquian language dialect and shared the same totem (turtle) as the neighboring Hackensack and Tappan. They were so called by the exonymby the New Netherlanders, who commonly referred to the people by the indigenous word for their territory. The name may mean a place in a rapid stream where fishing is done with a net. Tomassen received of Guert Coerten, by his will, dated Feb 5, 1671, a parcel of land in and about the town of Bergen, which Coerten had purchased of Peter Carteret, May 12, 1668. Here he lived and died. He and his wife were witnesses at the baptism of their grandson, Jurjaen, son of Thomas Jurjaense and Jannetje Straet, Sept. 1, 1693, as set forth in the Acquackanonk church records, which contain no other mention of him, a fact which makes it seem unlikely that he settled at Acquackanonk at all. His death is recorded at Bergen, as having occurred Sept. 12, 1695. He probably died there. Ryke Harmsse (doubtless his widow) was a witness at the baptism of another grandson, Jurie, son of Jan Juriance and Neeltje Gerrebrantze, in the Acqnackanonk church Feb. l0, 1703. She owned lot No. 2, in the Goutum sudivision. Some of his decendents assumed the name of Juriance, now Yeriance and Auryansen, while others took the name of the ancestral town and became Van Ripens and Van Ripers. Geertje’s husband Hendrick Mathysen Smock was born 1644 in Voorhuysen, Netherlands. His parents were Mathais Smock and Swaine Jansen. Hendrick died in 1708 in Staten Island. Hendrick Matthysen emigrated before October 1654 from New Utrecht to Kings County, New York. Hearig of the Dutch Reformed Church of Breukelen near New Utrecht, concerning an incidente caused by “Jan Thomaszen” (Van Dyck), a schepen of New Utrecht. It seems that a social gathering in New Utrecht, at which half a keg of beer was served, became a bit too lively and Jan Thomaszen got into a fight with a woman named Clara Gerrits De Moff. Jan Van Cleef came to the woman’s rescue by pulling Jan Thomaszen by the hair, whereupon Jan Thomaszen drew his knife, slashed Van Cleef’s coat and drew blood. Jan Thomaszen’s son Thomas Jansen then joined the fran and Van Cleef, obviously not seriously wounded, caught Thomas by the hair and “Hendrick Matthysen” caught him by the feet and threw him to the ground. The upshot of all this was a 300 guilder fine for Jan Thomaszen. 21 Sep 1661 – “Hendrick Mathysen”, of New Utrecht contracted a debt, duly recorded and witnessed to “Nicholas Maeyer”, Burgher, of New Amsterdam, of 68 guilders in Beaver skins at eight guilders a piece. 25 Apr 1662 – Hendrick purchased from Jacques Cortelyou Plantation Lot 10 in New Utrecht, containing 30 morgens. 16 Jan 1665 – The first assessment of New Utrecht named, “Hendrick Matysen Smock”: 1 poll, 4 horses, 3 cows, 3 cows of two years, 3 cows of one year, 93 Pounds, Pounds; 20 morgens of land and valley, 133 Pounds. Another Matteise, and gives the value of land and meadow as 40 Pounds for a total assessment of 133 Pounds. 1668 – He married Geertje Harmons, daughter of Harmen Coerten and Aertje Gerrits, at Dutch Reformed Church, New Utrecht, Kings County, New York. 24 Aug 1675 – Hendrick was one of several defendants in a law suit, at the Court of Sessions in Gravesend, involving the stoping of some horses; the jury found for the defendants. 1676 – “Hendrick Matheyse” assessment listed: 1 pol, 4 horses, 3 cows, 3 cows of three years, 3 cows of two years, 3 cows of one year, 105 Pounds, plus 30 morgens of land 60 Pounds, total 165 Pounds. Of the 28 families assessed, only two assessments were of greater value the Hendrick’s. 29 Sep 1676 – Hendrick sold a farm to Hans Hansen. 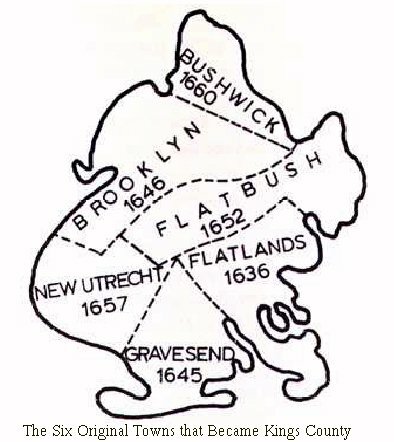 1677 – He and Geertje Harmons were founding members of the Dutch Reformed Church, Flatbush. 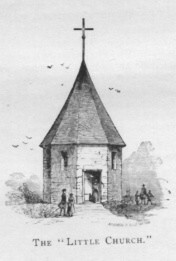 Hendrick Matthysen Smock and Geertje Harmons became members of the Dutch Reformed Church in New Utrecht under Dominee Van Zuuren. 1679 – Hendrick Matthysen Smock was appointed Magistrate. He was appointed Magistrate in 1682. 12 Apr 1682 – Hendrick and seven other men were named in a return of survey, of the 5,320 acre Saddle River Patent in Bergen County, NJ. 1683 Hendrick was on the assessment roll at Saddle River Patent, Bergen County, New Jersey. 1683 – Lucas or Mayerse, a boatman, sold a plot of “Hendrick Mattyse Smack” according to the town record of New Utrecht. 1687 – “Hendrick Mattysse Smack” and his Uncle “Swaen Janssen”, toolk the Oath of Allegiance to the English Crown in New Utrecht, affirming that they had been in America 33 years. 1698 – Hendrick Matthysen Smock appeared on the census of Kings County, New York. 1 Apr 1706 – Hendrick Smock is listed as Assessor, West in the records of Staten Island, Richmond County, NY at Staten Island, Richmond County, New York. 1 Apr 1707 – He was elected an assessor.. He died after April 1708 at Staten Island, Richmond County, New York. This entry was posted in 13th Generation, Immigrant - Continent and tagged Bergen NJ, Voorthuizen. Bookmark the permalink. I am also a desentant of Harmen Coerten. Thank you for posting this information. I had some of the basics but not all of this detail. I am currently in an American History class. The moving to Bergen was a forced move by the British. So facinating to see your family in American History. I have reviewed your source links and don’t find anything associated with your statement that “Geertje’s husband Hendrick Mathysen Smock was born 1644 in Voorhuysen, Netherlands. His parents were Mathais Smock and Swaine Jansen.” Would you please provide sources? Also, by what sources has the father of Harmen Coerton been identified as Mathias? Thanks for your help!